Janet Vasey, Member of Finance – Neighborhood Health Clinic, Inc.
Mrs. Vasey has been a resident of Collier County for 25 years. She has an extensive background in financial management and held the position of Director of Program Analysis and Review for the Assistant Secretary of the Army where she was a civilian employee for 20 years. She earned a Bachelor’s degree in Economics from Rice University and her Master’s degree in Public Financial Management from American University. 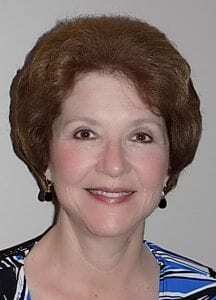 Since moving to Naples with her husband, Dennis, she has been active in a variety of homeowner and Collier County advisory committees, as well as civic, political and social organizations. Mrs. Vasey joined the Neighborhood Health Clinic in 2013, serving on the finance committee. She was elected to the board in 2014.